located in Pristine Place. 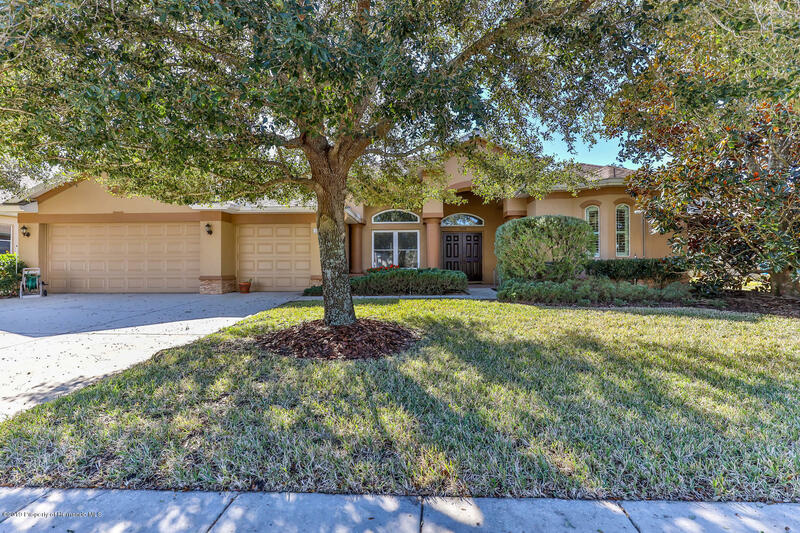 Spacious 4 bdm, add'l 2nd story bonus rm w/custom bookcases, 3 bath, 3 car gar, heated POOL. Columns great you as you enter dbl doors & your eyes will be drawn to the sliders & pool beyond formal living & dining room. Rounded corners, crown molding., water softener, pull down stairs in garage. Walking through the archway to the kitchen & great room you will discover granite counter tops, oak cabinets w/office area, CLOSET PANTRY w/light, back splash, wall oven & stove top. Great room, tile flooring, w/built in cabinets This is a TRIPLE SPLIT 2 guests & bath, 1 guest & bath. Mstr bedroom, 2 walk in closets, mstr bath dual vanities, soaking tub, walk in shower, private commode. Triple Pane High Impact windows, so many upgrades. I am interested in 13198 Linzia Lane, Spring Hill, FL 34609.